Universal's Steve Jobs biopic is one of the most highly-anticipated movies coming out this fall, hitting theaters on October 9. The film has been getting plenty of buzz after debuting at the Telluride Film Festival over the weekend, with one of the film's biggest champions being Apple co-founder Steve Wozniak, who is portrayed by Seth Rogen in the film. Deadline caught up with Steve Wozniak at Telluride, where he praised the filmmakers for getting Steve Jobs' story right. "I saw a rough cut and I felt like I was actually watching Steve Jobs and the others (including Seth Rogen's dead-on portrayal of Wozniak), not actors playing them, I give full credit to (director) Danny Boyle and (screenwriter) Aaron Sorkin for getting it so right." You may recall that Steve Wozniak previously criticized the 2013 biopic Jobs, saying the filmmakers got certain elements of the story "totally wrong." This new Steve Jobs is based on Walter Isaacson's 2011 biography on Steve Jobs, with screenwriter Aaron Sorkin setting the plot at the launch of three separate Apple product launches, the original Mac computer, Apple Next and the original iPod. It remains to be seen whether or not fans will embrace this biopic or not, but we'll find out after it hits theaters October 9. Michael Fassbender stars as the title character, alongside Kate Winslet as Joanna Hoffman, former marketing chief of Macintosh. Steve Wozniak, who co-founded Apple, is played by Seth Rogen, and Jeff Daniels stars as former Apple CEO John Sculley. The film also stars Katherine Waterston as Chrisann Brennan, Jobs' ex-girlfriend, and Michael Stuhlbarg as Andy Hertzfeld, one of the original members of the Apple Macintosh development team. The supporting cast also includes Sarah Snook, John Ortiz and Perla Haney-Jardine. 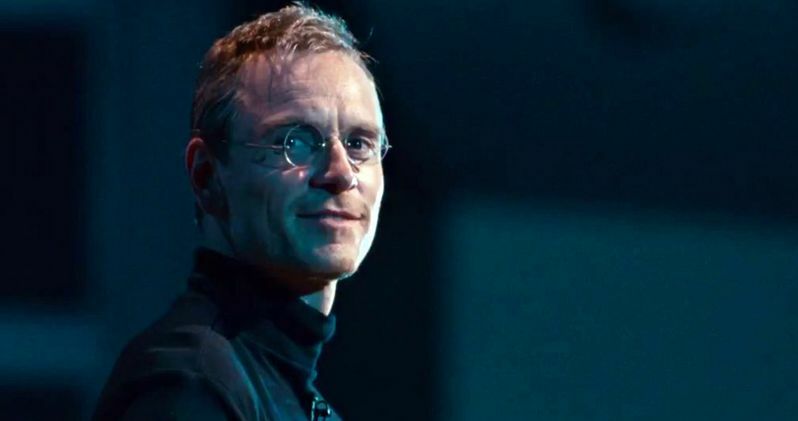 Based on the critically-acclaimed reception coming out of Telluride, Steve Jobs could emerge as an early Best Picture contender, but we still have a long ways to go before the Oscar nominations are unveiled. Are you getting excited for Steve Jobs? Do you think it will take home several of the major Oscar awards? Let us know what you think below.